Life is quite ironical sometimes. First feature of the week, first one post-fashion week was dedicated to a girl with that slow-and-steady career pattern and from there we jump to one of the latest Givenchy girls. Well, not that ironical if you remember Rasa's debuts and, again, not so much when you had the opportunity to have a quick talk with Anna's agent from Brave Models, carefully explaining how the plans for the model are to go step by step with everything, treating her career as preciously as possible. It should be everyone's policy in such a case but still rare enough to be mentioned and even highlighted. In our fast fashion world, precision and tailor-made career patterns are often what makes the difference in the end. Everybody is hungry for more from the moment everything takes off but many times, smaller yet stronger steps have proved wrong anyone who was too much in a hurry. Our quiet mood tells us not to jump off our chair and rather stay pleased with what we see. Green eyes that immediately caught ours on the runway and refined features, no need to go much deeper in describing what you obviously see on one pola and two test shots. 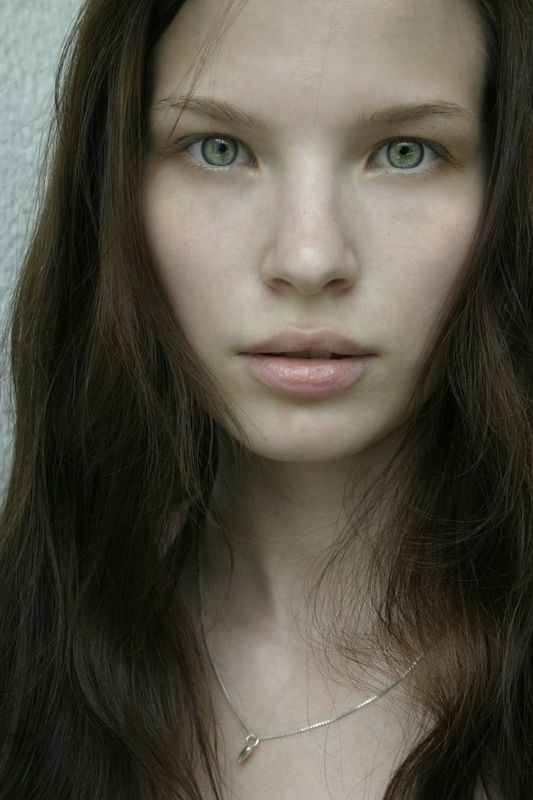 Anna Piirainen is Finnish (from Paparazzi Models) and literally debuted her career this October on Givenchy's runway. Exclusives are not our favorite cup of tea but as long as they keep booking models this way, we prefer a great surprise than an obvious expectation coming true. And honestly, we don't know many people around who expected Anna there. So, better be delighted with such a true surprise during a season when, despite nothing was ever predictable, nothing took a really surprising turn. OMG, she's so hypnotizing !!! What is she ? An alien with so much beauty and perfection that you can't look anywhere else ?